Combustion Cycles was established in 2003 and quickly became the Triangle’s source for motorcycle and scooter service and repair. 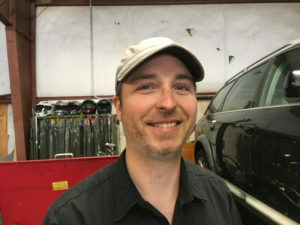 Not long after opening, Combustion earned its North Carolina Motor Vehicle Dealer‘s license and began selling new and used motorcycles and scooters. Since then, tens of thousands of customers have bought their bikes from and/or had their bikes maintained and repaired by Combustion. We are very grateful for the support of our community and we try to give back every day. Dave started Combustion Cycles after realizing that he was more interested in the practical applications of his Chemistry and Physics degrees than he was in the abstract theories. That’s partly why he gave his company a science-nerdy play-on-words name. An excellent mechanic, an avid rider, and an occasional podium winner, Dave pretty literally lives and breathes motorcycles. 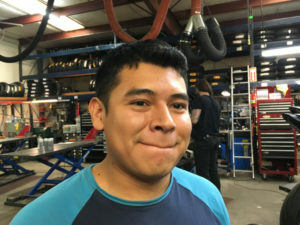 Carlos joined Combustion Cycles right out of high school and has proven to be a mechanic savant, a “bike whisperer”, regularly able to conjure excellent results from his efforts. Kyle is excellent with his hands, both working periodically as a professional bass player in touring bands and adroitly handling motorcycle mechanic duties from vintage to modern. 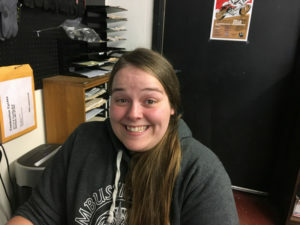 Talia is usually the first person you meet at Combustion Cycles. She can answer your questions and organize whatever service or repair you may need. 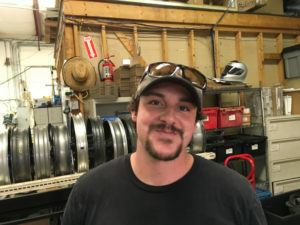 Cody first worked at Combustion Cycles when the company was only a few years old, helping Dave do online sales. A very experienced freestyle rider, Cody puts every new and used vehicle through its paces before it gets into the hands of our customers. Desmond joined Combustion Cycles after Dave learned that Desmond commuted 80 miles round-trip daily on his 1973 Honda XL250. Desmond now rides a modern Suzuki DR650 and still commutes by bike most every day. With a background in Silicon Valley and high tech show business, Desmond brought new technical and organizational capabilities to bear on the day-to-day workings of Combustion creating mission-critical procedures and software tools to streamline and manage workflow and to load-balance mechanic workloads. Desmond created this website in November 2018 before leaving Combustion Cycles for new challenges.